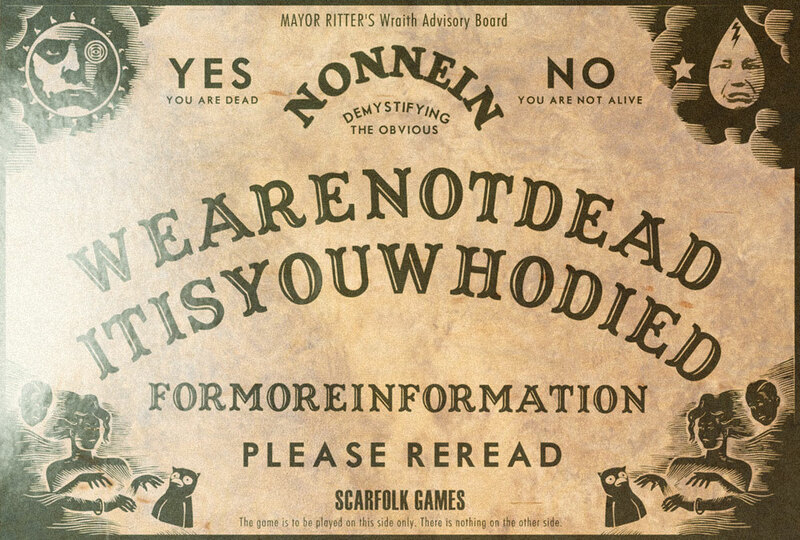 Similar to the Ouija Board, the "Nonnein" Wraith Advisory Board was released by Scarfolk Games in 1970. The main difference between the two boards was that the latter gave the deceased more control over their messages. 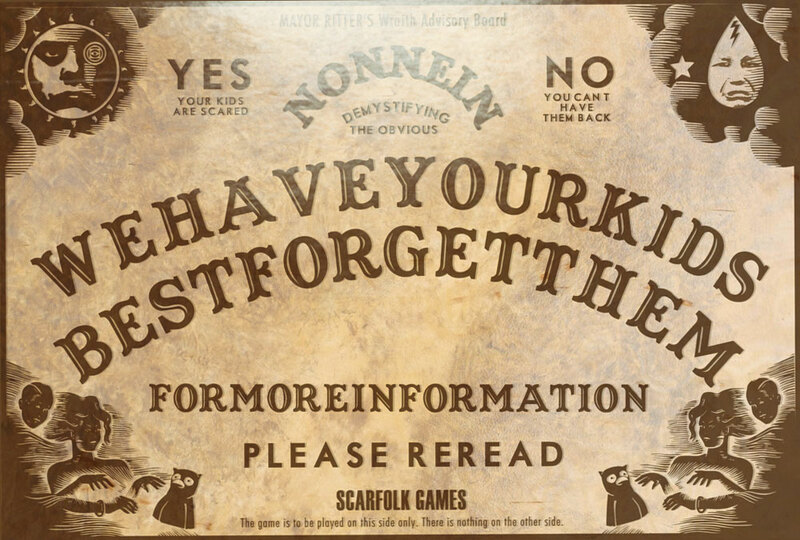 Ghosts had became weary of dictating one letter at a time to the living, especially if they had poor spelling skills, so they welcomed the upgraded Nonnein Board which permitted them to shuffle the letters and spell out their own messages in 140 characters or less. 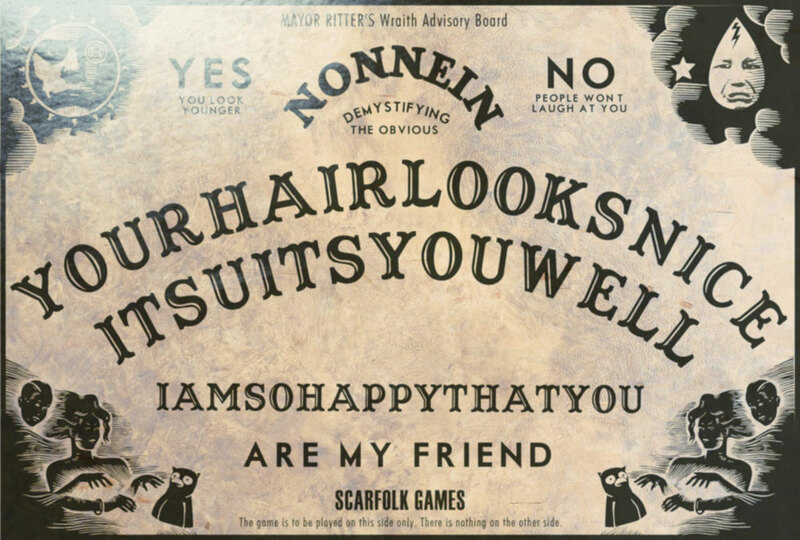 Happy Halloween from Scarfolk Council. 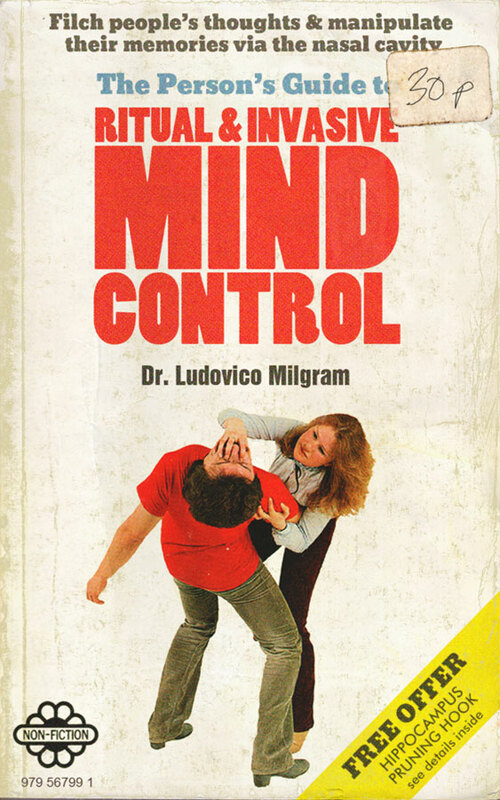 From children to teachers to pensioners; from secretaries to factory workers to black propaganda operatives secretly working for the government disguised as school dinner ladies, mind control was all the rage in 1970s Scarfolk. Everyone was at it. Dozens of 'DIY' books flooded the market and there was a schism over which was the better method: occult ritual magick, the use of precision medical implements such as straightened wire coat hangers, or television advertising. Because the government had already employed potent thought-control techniques to cap the cognitive abilities of citizens, most people didn't master much more than the basics, such as the Disco Leech Maneouver (see the book cover below), which reduced the mental age of a subject by up to 4 hours. "...Carefully insert a finger or medical (non-musical) instrument into the nasal cavity. The opening is quite narrow but about 2 metres in it opens out into a larger chamber. Here you will encounter a marsupial called Zimbardo, who guards the entrance to the brain. You will not be able to pass him unless you agree to a wrestling match (Blavatsky rules). Let him win. Once you have access to the brain you will see that its interior resembles bubble wrap. Use your finger/instrument to pop as many of these 'think pockets' as you feel is appropriate. If the subject begins to gurgle or talk backwards, immediately exit the brain via the nostril, ensuring that you take any litter with you..."
In the 1970s a government think-tank headed by Scarfolk councillor E. Bernays predicted that 21st century Britain might see a much-increased elderly population. Already faced with a recession, the government decided on a two-pronged solution that would not only reduce the numbers of future senior citizens but also boost the economy. It strongly encouraged people, especially children, to smoke and then, once addiction had become more widespread, the tax on cigarettes was raised. The short-term plan was to bolster the economy with the tobacco levy and, in the long term, drastically reduce the number of people reaching pensionable age by ensuring they develop fatal, smoking-related illnesses. To further secure economic stability the government also began slowly dismantling the NHS (Notional Health Service) so that it could not be made financially accountable for any pensioners who accidentally slipped through the net and stubbornly endured. 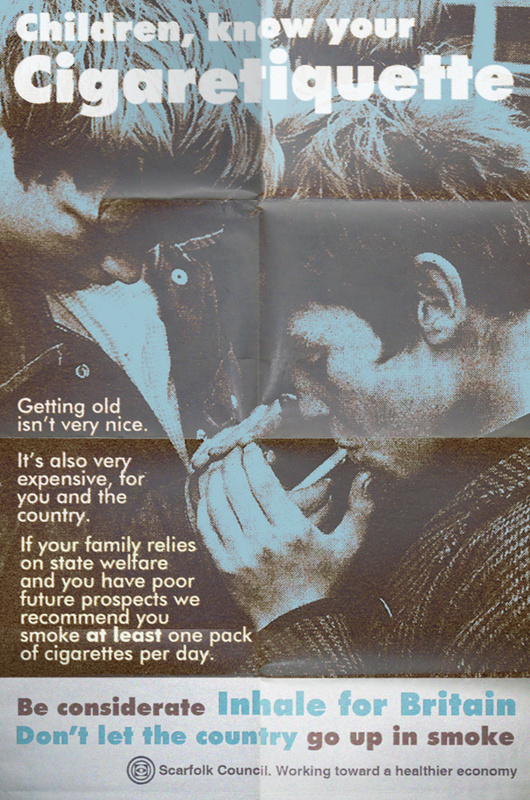 The poster below from 1974, which was aimed at impoverished children, took advantage of the national pride and sense of 'Britishness' which had been fabricated by an earlier government propaganda campaign intended to control the uneducated. Find out how this campaign developed with confectionery branded cigarettes. Scarfolk council was a staunch advocate of biblioclasm. It did not want citizens acquiring unsanctioned knowledge and expected families to regularly scour their cellars, attics and priest holes for prohibited books. Book burnings took place after Sunday Coven on every 3rd Sunday, unless it fell on a Saturday, in which case the following Sunday. However, in the 1970s, after the inexplicable disappearance of many of Scarfolk's old age pensioners (which, incidentally, coincided with a much-needed boost to the town's flagging sausage industry), the time-honoured method of how to correctly burn a book fell out of common knowledge. No one could remember how to do it because the traditional know-how had not been passed on to them. 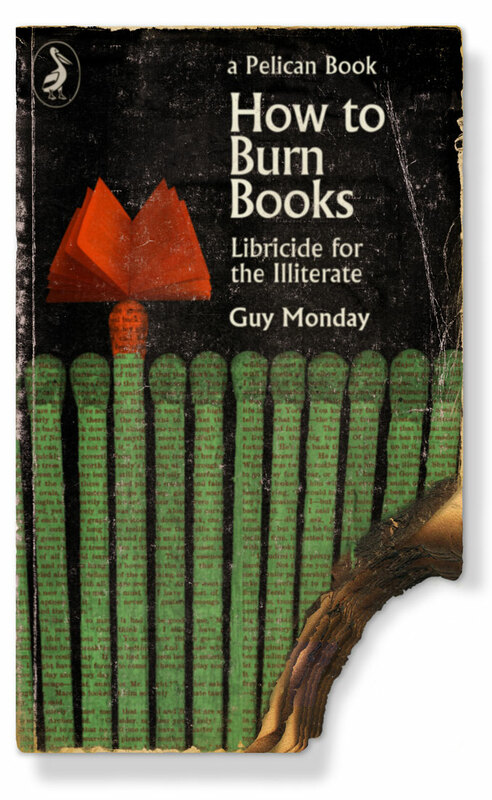 The council had no choice but to publish 'How to Burn Books' (1970), which furnished people with the required skills for correct book burning. Unfortunately, the book- and education-starved populace could not read and attempted, albeit clumsily, to burn all the copies before they had looked at them properly. 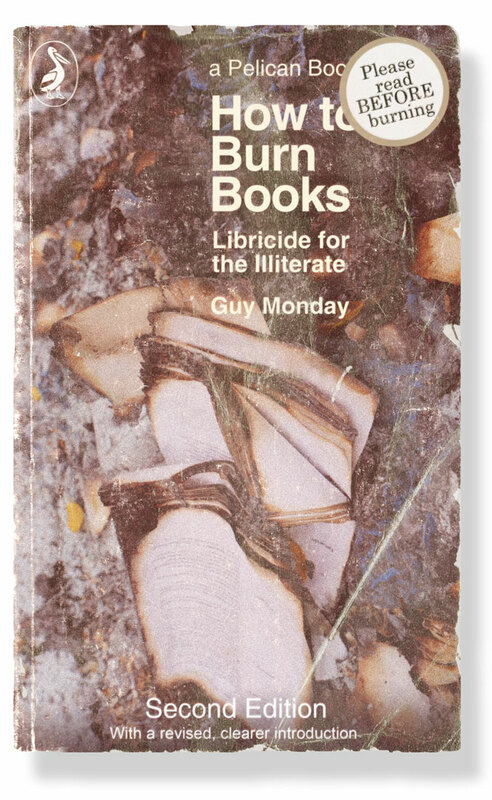 Frustrated, the council had no choice but reteach people how to read, or at least well enough for them to be able to read and comprehend the 2nd edition of 'How to Burn Books' (1978). Both editions, including the rare 1st edition, can be seen below.